Lenny Kravitz is a well-established rock star who came to fame at the end of the 1980s and has been releasing music and touring ever since. Throughout the course of his career, he has collaborated with several other musicians, including Slash, Mick Jagger, Alicia Keys, N.E.R.D. and Jay Z. He wrote the hit record Justify My Love for Madonna and has supported both Aerosmith and U2. 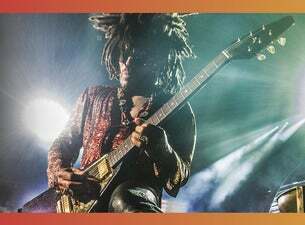 Over the years, Lenny Kravitz has released nine albums, which in total have sold more than 38 million copies. He has toured extensively over the years, as part of his own shows and to support other world class acts.